← The “Ground Zero Mosque”: What is the true motivation behind this debate? The Gross Domestic Product (GDP) is a measure of economic activity for a country as a whole. GDP, and related figures like per capita GDP or inflation-adjusted GDP, are frequently referenced in economics and news sources, especially in the context of development economics, and especially in news sources discussing economic downturns or booms. GDP is so dominant that the general term “growth” is usually implicitly assumed to mean growth of GDP. Economics, contrary to popular belief, is not the study of money or financial systems per se, but rather, the study of resource use and distribution in human society. Definitions of economics, including those in most mainstream economics textbooks, emphasize economics as the study of the choices people and groups of people make, particularly in contexts involving scarce resources. If economics is to retain its place in academia and society as a legitimate social science, the economic discourse needs to stay true to its broader definition, and needs to encompass the study of all resource distribution, not just that included in the money economy. This blog post will provide a compelling argument that GDP is not only a poor measure of wealth and prosperity–but in fact, that it is not even a measure of wealth and prosperity at all. And, as such, the equating of GDP with wealth and prosperity by economists is not only wrong (and has negative impacts on society through its influences on policy), but also serves to discredit the field of economics by studying only the money economy and not the distribution of resources as a whole. What does GDP measure and what does it not measure? There are many different ways to calculate or measure GDP, but they essentially measure the same thing. This exposition of GDP is necessarily an oversimplification, but I believe that it captures the essence of the concept (to economists reading this, if you have suggestions of how to make this section more accurate, let me know). The simplest way of understanding GDP is as the total of all production (both goods and services) in an economy that is associated with transactions in which money changes hands. Except in certain organized business barter transactions which are counted as income for individuals or corporations, GDP generally does not include transactions in which no money changes hands. The following table helps to illustrate what is and is not included in GDP. It is also worth noting how GDP counts goods or services when they are sold and resold. Shipping and storage of goods are almost always counted in GDP, as these are considered services that are produced. So a product that is sold directly to the end user, at the point of production, will result in less of a contribution to GDP than a product which is produced, shipped, stored in a warehouse, and shipped again to the same end user for the same price plus shipping costs. Also worth noting, a new product that is resold at progressively higher prices will result in a greater contribution to GDP than the same good which is only sold once at the lower price. Already, we see a disconnect between what economics is supposed to study (the distribution and use of resources), and what GDP measures (the amount of money changing hands in association with sale and purchase of new goods or services). But there is another, deeper shortcoming with GDP that is easily illustrated by looking at what happens to GDP in the case of a car accident. It is likely that people are seriously injured in an accident of this scale. In these cases, an ambulance would come and take people to a local hospital, where they might be given medical attention. Suppose both cars are totalled. Between health insurance, car insurance, out of pocket expenses, a lot of money changes hands–and unless the cars are junkers and the injuries superficial, the amount of money is probably on the order of several tens of thousands of dollars, possibly more if the injuries are severe. If someone hires a lawyer and sues, even more money is likely to change hands. Also, public or government services (and thus taxpayer funds) are probably involved in the emergency response, further adding to the total cost. Most of this money is included in GDP. The main exception would be if the people purchase used cars as replacements. But the medical care, any car repair work, and new cars purchased, and any legal fees, is all included in GDP. Furthermore, the incremental rate by which everyone’s insurance premiums go up to pay for this accident results in more payments to insurance companies, which is also included in GDP. The net effect of the accident is to produce a substantial increase in GDP. Most alarmingly, the more destructive the accident, the greater the increase in GDP. The net effect on society and on people’s lives is that resources have been destroyed or used up–the cars, the resources of emergency response personnel, the medical resources used to treat the people involved in the crash, and the quality of life (and possibly work productivity) lost while these people recover from their injuries. This highlights the ultimate failing of GDP: GDP does not measure the destruction or loss of wealth or resources. Especially in an area like macroeconomics, I think it is always valuable to look at something from different perspectives. So far, we’ve been talking about the individual contributions to GDP from various small incidents and economic activities. What does the picture look like when we look at the GDP of a country as a whole? I think one of the most compelling points about GDP is that countries with higher per-capita GDP do not necessarily have a higher quality of life. Wikipedia has a useful list of countries by per capita GDP (in U.S. $), which has three different sources (IMF, World Bank, and CIA Factbook). Depending on the source, Sudan’s per capita GDP is between $2,380 and $2,201. Compare to Eritrea, whose GDP is listed as $624-$700. If GDP is even a crude measure of prosperity, then since Sudan’s GDP is over 3 times as high as Eritrea, the Sudan should be much better off. Public health data suggests the opposite. Their HIV prevalence rate is similar [Source], but Sudan has about twice the rate of infant mortality rate [Source], and life expectancy in Sudan is lower by more than 10 years [Source]. The genocide and violence in Sudan is another issue; although Eritrea has had its share of violence and strife, the magnitude of violence there does not approach that in the Sudan. This was just one example; perusing other figures show similar results, even among wealthier countries. For example, the U.S. has an embarassingly high infant mortality rate, 46th worldwide, placing it below Cuba, even though it ranks 6th or 8th in per capita GDP. One of the reasons that GDP fails to correlate tightly with public health measures is that per-capita GDP is an average, and thus does not capture distribution of wealth. In the U.S., the infant mortality rate is high because the wealth is concentrated in the hands of a few; the contributions to high infant mortality come from poor subsets of the population living at an economic level comparable to that in many developing countries. GDP only counts activity that happens inside the money economy. Many of the most important types of economic activity (including food production, education, raising children, even transportation) happen both inside and outside the money economy, and these are not included in GDP. GDP aggregates figures based on price, not value. Sales of the same goods or services at a higher price contribute more to GDP, even though they contribute equally to the wealth available in a country. GDP measures only production, and does not measure the destruction, loss, or using up, or squandering of wealth or resources. GDP is thus measuring only “half the equation” (less than half when considering the first point above) when it comes to what is affecting the total amount of wealth in a country. Per-capita GDP measures only average prosperity and does not address disparities in wealth, income, and resource distribution. How big are each of these terms? I don’t know…but depending on how you value them, they could be huge. Many of them probably cannot be easily quantified with a dollar value. But the lesson is the same…GDP does not measure wealth. It is not even a crude measure of wealth. GDP is only one of several factors determining the rate of change of wealth within society, and it is not necessarily the biggest factor. What happens when you focus on Raising / Maximizing GDP? Compared to past generations, both parents are more likely to work full-time, and people work longer hours, leaving less time for spending time with family–instead things like childcare have moved into the money economy. The retail sector of our economy is focused on reselling goods through multiple layers of distribution at progressively higher prices. The emphasis is on the price, not the value, and the highest profits exist for the people who are able to sell the cheapest goods at the highest markup. Our economy is based on continually buying new things rather than buying high-quality goods and properly maintaining and repairing them. Repair industries have suffered greatly–the dominant practice is to throw out and replace anything that breaks or wears out. Transportation and shipping of goods has become a huge part of our economy. Rather than goods being produced locally, we import a huge amount of things from overseas, including China, and even within the U.S., we are less likely to purchase locally-produced goods and purchase things from local stores. Even our food supply has become based on shipping things from overseas. Our society remains stuck trying to prevent or fix environmental problems through a regulatory approach. Rather than people having natural incentives to preserve and protect the environment, the incentives are for people to exploit or use up as many natural resources as possible, in order to generate profit. Corporations are thus constantly fighting for as lax regulations as possible, and finding ways to evade existing laws. Is this the way it needs to be? Not at all. Can you imagine a society which has none of these problems? I can. I believe that we can achieve such a society–and can do so quickly, within significantly less than a person’s lifetime. Furthermore, we must do so quickly, as the society we are living in is completely unsustainable in every sense of the word. People often tell me that Americans are short-sighted. I don’t believe this. I think that we’ve just been given the wrong incentives. Most Americans, liberal and conservative, care deeply about future generations. It simply does not make sense to me that people don’t care or don’t think in the long-term. Most people I know do–but I think that most people I know are also operating within social and systems that produce incentives for short-term thinking. People live paycheck-to-paycheck because they’re in debt and need to make a series of monthly payments on loans. They got in debt because everything in our society makes it easy to get and stay in debt and hard to stay out of debt. People make short-sighted decisions in their jobs because their jobs are structured to create incentives for this behavior. CEO’s are fired if they don’t deliver consistent quarterly profits–they’re not judged by their commitment to long-term prosperity of their company. And many people work long hours because their jobs require them to do so, and they’re afraid that they’ll get fired if they don’t. High unemployment makes people even more strongly locked into this type of work life. And people make choices in their daily lives to buy products that are made in ways that are damaging to the environment, not because they don’t care about the environment, but because these goods are cheaper and more widely available. Why is our society structured this way? Because we have designed our economy this way. All the problems given as examples above are examples of things that boost GDP without creating real wealth. These problems are an inevitable result of a public policy and culture and philosophy in our society which focuses on growth of GDP as an economic goal. The beauty is that if we let go of this (inane) goal, we are freed. All these problems disappear. They won’t vanish overnight, but if we can agree to abandon the idea of growth of GDP as a goal and set as a goal the prosperity of all people, they will disappear without us having to struggle so hard, because we will have removed the main incentive holding them in place. Make a commitment right now to working to create wealth and build prosperity for all people, and recognize that growth of GDP is often at odds with this goal. Make life decisions accordingly. Buy only what you need, and be price-conscious when you shop. Buy high-quality goods and take care of the things that you buy so that they last longer. Donate or give away things rather than throwing them out, assuming they are still in good condition. Reduce your expenditures and your need for money so that you can work less in the money economy during your life, spending more time doing productive things not included in GDP like spending time with friends and family, volunteering, gardening, cooking, working on your home, sewing, and being involved in your local community. Pick role models and ideals by focusing on intelligent use of resources and a long-term outlook, rather than conspicuous consumption and and a high-income, high-spending lifestyle. Support businesses and individuals committed to quality and wise use of resources. Support local businesses and buy locally-produced goods, especially food, to whatever degree possible. For those who engage in political or economic discourse, whenever anyone talking about GDP or growth (usually meaning growth of GDP) implicitly or explicitly states that increasing GDP or growth is a good thing, call them out on the fallacy of their viewpoint. Suggest that they focus directly on quality of life issues rather than numerical economic measures. If a dollar value measurement is to be used, insist that a measure be used that includes the value of production not included in GDP, and subtracts the value of goods destroyed–and thus focuses on measuring wealth rather than a particularly narrow view of production in the money economy. If you are an economist, work to develop better indicators that address the points here, and conduct and publish work critical of GDP. Focus your criticism on economists who remain wedded to the outdated notion of GDP, and show your support for economists working towards better measures of wealth and prosperity. If you work in government, media, or influence policy in any way, make sure to act based on promoting actual prosperity, not growth of GDP. Ask yourself the question about every policy–how does this affect the actual wealth in society–and act accordingly. This entry was posted in Activism & Ideas and tagged culture, economics, gdp, prosperity, sustainability, wealth. Bookmark the permalink. After five years of nearly continual study of American economics, a book, more than 1100 articles, and countless radio interviews and public speaking engagements, I realized that I was attempting to push a rope. My message was and is, “Live simple, live free, and live well,” which incorporates all of your suggestions. In the end I realized that the only plan that humans have ever had was to live off the resources of this planet at the highest consumption level possible until the resources no longer support our lifestyle. At this point and time, the resources no longer fit our lifestyle. And THAT is why REAL PER-CAPITA GDP cannot be increased. We have reached zenith for the mathematical premise of exponential growth-debt based capitalism to continue. So therefore, real per-capita GDP does hold extremely important value in measuring the limits of our impossible economic model. I agree with your solutions and those who embrace the independent, live simple model will be best situated for our continual decline. I think it’s a bit misleading to cast a decrease in GDP as a decline. It’s possible for our GDP to shrink whereas other aspects of our economy (productivity not included in GDP, the amount of wealth in society, and quality of life) can improve or increase. The key point in this blog is that many components of GDP actually represent negative contributions to or detriments to society. Besides the car accident, think of frivolous litigation, long daily commutes by car, cheap goods that break and need to be replaced–all these things generate GDP (car purchases, legal services, purchase of new disposable goods) but all of them have negative effects on wealth and prosperity. And this hasn’t even started to consider environmental and health effects of much of our economic activity–this just makes the point even stronger. If people take one message away from this post, I want it to be that it is possible, and indeed quite reasonable given our situation, for GDP to decrease while total wealth and quality of life can increase. I would love to have an in-depth conversation with you regarding your theory of increasing living standards while decreasing GDP and at the same time avoiding a protracted depression. I want to first say that we are both singing out of the same hymn book and any dissenting opinion is meant for discussion rather than criticism. Have we passed zenith? We did so in 1970 and have existed since on the growth of debt not the growth of the real economy. If you send me your e-mail address, I will send you my Show-Stoppers booklet. It should be considered that if the Chinese alone were to attempt to reach the same per capita consumption level as Americans, that they would require all currently harvested natural resources on earth and experience a shortage prior to attaining their goal. The remainder of the world would have ZERO. We are simply dancing on the edge of the volcano. This is the best thing I have ever read. Can I like it more? While I agree with the thrust of your article and have been living a low-consumption, high-enjoyment lifestyle for many years, I disagree with your claim that a car accident “increases the GDP”. To make such a claim you are necessarily comparing two hypothetical futures: one with and one without the car accident. While a case might be made that people’s post-accident economic activity might be greater than otherwise, the vacation they didn’t take, the investment they didn’t make, the work they didn’t do, and so on, are all reductions in economic activity. So your example looks a lot like the broken window fallacy. And I’m extremely pessimistic regarding people’s willingness to adopt the values and make the choices you suggest. Five thousand years ago the Epic of Gilgamesh described an encounter between Gilgamesh and Siduri, the Goddess of Brewing. She told the immortality-seeking hero that he should go home and enjoy his life, living simply and loving his wife and children. Excellent advice, but here we are, five thousand years later, with most people still on the same treadmill of seeking the impossible rather than enjoying what’s right in front of them. To respond to TJ, I was actually hoping someone would raise the objection about the indirect effects on GDP from the car accident. I’ve thought about it a lot. Assuming the accident has already taken place, the damage (and contributions to GDP) are real and given–they will happen in every case where there is a destructive accident. But the effects of (the vacation the person didn’t take, the work lost) are only a possibility. I come from a family of disciplined savers. We always have money in the bank, no matter how low our income. A car accident puts a dent in our savings (I had this happen, on a much smaller scale, 3 times–fortunately no injuries! Twice it was someone hitting my parked car.) and the money was money I was not otherwise going to spend. Not everyone buys into the idea that people spend all disposable income they have. So, in all likelihood, some people will reduce their other expenditures in response to the accident, but people living well within their means generally will not. So the net effect is that on average, people will reduce their expenditures by less than the amount GDP has increased. The effect you described somewhat mitigates the increase in GDP but does not eliminate it. But also there is one more mitigating factor to the effect you describe. Lost productivity, in our society, is generally well-covered by disability pay. This means that while actual value/wealth in society is lost from the loss of productivity, the loss in GDP is mitigated. People may stop working but they still receive payments. Again, the effect you describe does reduce GDP, but the reduction from this effect is, in most cases, less than the increase associated with the accident. Also, perhaps more importantly, the reduction you describe is in the long-term (most of the effects you describe probably do not kick in till months later), whereas the increase in GDP is immediate. In our economy which incentivizes short-term growth of GDP, the car accident fits into the system of incentives. I think the analogy between a car accident and the broken window fallacy is true here too…but I think it points out what is wrong with GDP. GDP does not measure the lost value of a broken window, it only measures the cost of replacing it with a new window, or the purchase of whatever would have been bought instead if the window had not been broken. What I’m arguing here is to look at total wealth–which gives you an accurate picture in both the simplified “broken window” case, and the car accident case. In both cases, there are direct effects of destruction of wealth, that are almost always going to exceed the expenditures to repair or replace the cars (unless a brand new car is bought to replace a used one) and in the case of medical expenditures, the same holds. So the net effect is a loss. And then, on top of this, you add the indirect effect you described–loss of productivity, etc. But measuring wealth as a whole, disability / unemployment compensation does nothing to restore this wealth…it’s just money changing hands. It may enable spending but it does nothing to restore the value lost. So the net effect is a huge loss. So…I agree with your criticisms…but I think in the end they actually support my conclusions more strongly! About your pessimism, I just have one question: have you ever found pessimism to be an effective way to motivate action? I would suggest for you to find ways to work through, and shed your pessimism. I will guarantee that you will become infinitely more persuasive and better at achieving your goals if you view people as capable of change and growth. The way we approach people often becomes a self-fulfilling prophesy. If we treat people as rigid, closed-minded, and stuck in their ways, they will be. But if we approach them as whole human beings, complex, and open to new possibilities if presented from the right angle, we will ultimately get much farther. would not their investment count as an increase to GDP? Yes. This is true in the long-run, but I think long-run economic effects are too hard to fully understand anyway. Most money (unless you’re sticking it under your mattress) recirculates, whether it’s saved or spent, so it’s kind of a moot point. But these are indirect effects, I mainly gave this example to capture the direct effects. In both cases (saving or spending) the money recirculates and has indirect effects. But these effects are so hard to quantify, so complex, virtually endless, and they often happen on longer time-scales. 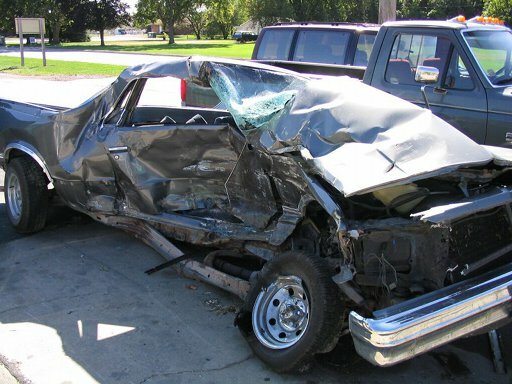 The spending in a car accident usually happens immediately, and is direct and easy to quantify. I’m not trying to claim I have everything figured out or seal every little detail of my argument. Rather, I’m just trying to point out that GDP does not effectively measure wealth or prosperity because it measures only spending, and not wealth creation or destruction, which are the activities that ultimately drive prosperity in an economy. I’m not raising a subtle point about GDP here, I’m saying the whole idea of GDP is fundamentally flawed and focusing on it at all leads us down a very bad road. Would you mind sending me your thought process on how long term behaviour should be appropriately incentivized? I think this focus is a major crux in pretty much every facet of social life: political, commercial, and domestic. It may not even be incentives that exclusively affect action; as the son of two educators, I think education is another huge factor in that puzzle. To put it in a sterile manner, life is ultimately about utility curves. As people become better able to understand and model the consequences of their actions, the theory is they will make better decisions. To marry the two ideas together, I have seen numerous examples of well-educated swindlers (JPMC, GS, etc), which is where the incentive factor comes into play. That topic is really too broad for me to answer in a casual comment; it’s something I hope to write about gradually, over time, in the future, coming at it from different angles. I do think, however, that a few simple things lead to better incentives. A few that come to mind are simplicity and transparency in an economic system. I also think that economic activity based on close, personal relationships are important, although this alone is not sufficient–you can have organized crime or corruption based on close, personal relationships. Transparency puts a crimp in that one. Think about it like this…our currency system is not fully traceable. If currency were fully traceable (say if it were electronic), most crime would not be possible. Crime works now because you can steal money, and the money is generic in the sense of people knowing where it came from. If instead of money, we had a currency that was based on trust, building a reputation, and recording transactions in which a person had helped others, theft and corruption would become virtually impossible. Those are just a few thoughts I had. Another key idea that I think about is having a currency that separates the use of currency as an exchange medium from the use of currency as a store of value. Most current money functions as both. I got this idea from reading the works of Thomas H. Greco, a community currency advocate: he advocates for a demurrage fee or holding fee, citing successful examples, past and present, of local currencies that have used such a fee in order to keep money from being used as a store of value. In a sense, this is the same argument as the argument that most economists make that a certain degree of inflation is necessary for an optimally healthy economy: the inflation keeps the exchange medium from being used as a store of value, except in the short-term. Those are just the ideas that come to mind now; I’m sure if I come back to this over a period of months or years I’ll come up with a whole bunch of other ideas too, both ones I think up and ones I encounter in other people’s work. Love this blog item! very similar to the point Peter Joseph of the Zeitgeist Movement makes about GDP. I really enjoyed reading this – it made me think about GDP and the concepts of growth and prosperity in ways I had not previously considered. Learned more in 5 minutes reading this than in all my economics courses.